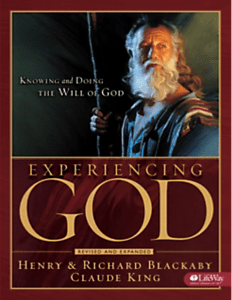 Pastor Orr will begin a study of the book, “Experiencing God”, by Henry Blackaby and Claude King on Sundays from 9:45am to 10:15am in the Dome. God reveals Himself to each of us in special and exceptional ways, so our perception of Him is unique. This 10 session class will be lecture style and is designed for anyone not yet in a Sunday School class.